Lighting, Lighting Networking, Rigging, and Safety sessions to provide in-depth, progressive education to professionals with ESTA accredited tracks. 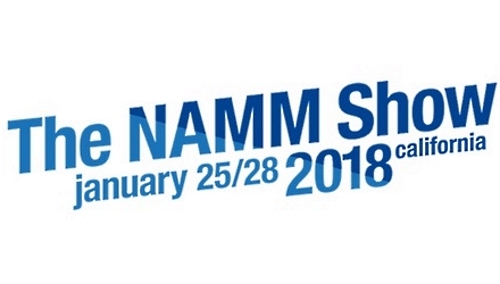 A complete suite of professional development opportunities await event technology professionals at The 2018 NAMM Show, January 25-28 in Anaheim, California. Released today, the schedule, as curated by ESTA (Entertainment Services Technology Association), The Pro Production Sessions will give emerging and established professionals the opportunity to learn from industry luminaries in a series of sessions and tracks. Highlights of the schedule include four ESTA-curated educational tracks: Lighting, Lighting Networking, Rigging, and Safety. The sessions are designed to provide in-depth, progressive education to entertainment technology and design professionals, and those responsible for their safety. As part of the ESTA accredited tracks, entertainment lighting design veteran and resident expert Richard Cadena will present a variety of sessions. Highlights include “Video Production: Power on a Shoestring,” “Console Programming Workflow,” and “General Electrical Safety for Stage and Set.” All ESTA-curated education tracks will be valid for ETCP credits. Highlights from The Pro Production Sessions include “Kevin Lyman Speaks on The Evolution of Festivals in Today’s Music Industry,” in which Lyman, founder and producer of The Warped Tour and CEO and founder of 4Fini, explores where the music festival fits in today’s music industry landscape; “The Lighting Designer Round Table,” where guest moderator Bryan Hartley and a panel of leading designers will share some of their recent projects, explain the highs and lows of the gigs and discuss the presentation techniques that got them hired; and in “Bringing It All Together,” moderated by one of this year’s Parnelli nominees, production/lighting designer Robb Jibson talks with other top production designers about how their work interprets and creates an environment that underscores and enhances the musical artists’ work and the audience’s experience. All event technology education is free to registrants. A complete event tech education schedule is available here. The event technology sessions join a suite of professional development opportunities at The 2018 NAMM Show, which also includes NAMM U; TEC Tracks; A3E’s The Future of Audio program; Audinate’s Dante Certification Training; [email protected]: Pro Sound Symposium Live and Studio, curated by the Audio Engineering Society; and Music Education Days, GenNext career development and the Nonprofit Institute from The NAMM Foundation. These educational sessions will take place at the NAMM U Education Center at the Hilton Anaheim, located next door to the Anaheim Convention Center, and are open to NAMM members.